It's a label that doesn't normally inspire confidence in a quality product. There's a stereotype that products from Taiwan are made on low budgets and that the quality of products is not a concern for the manufacturer's. For me, the label often reminds me of the cheap stuffed toys you see in claw machines and budget windows based laptops. 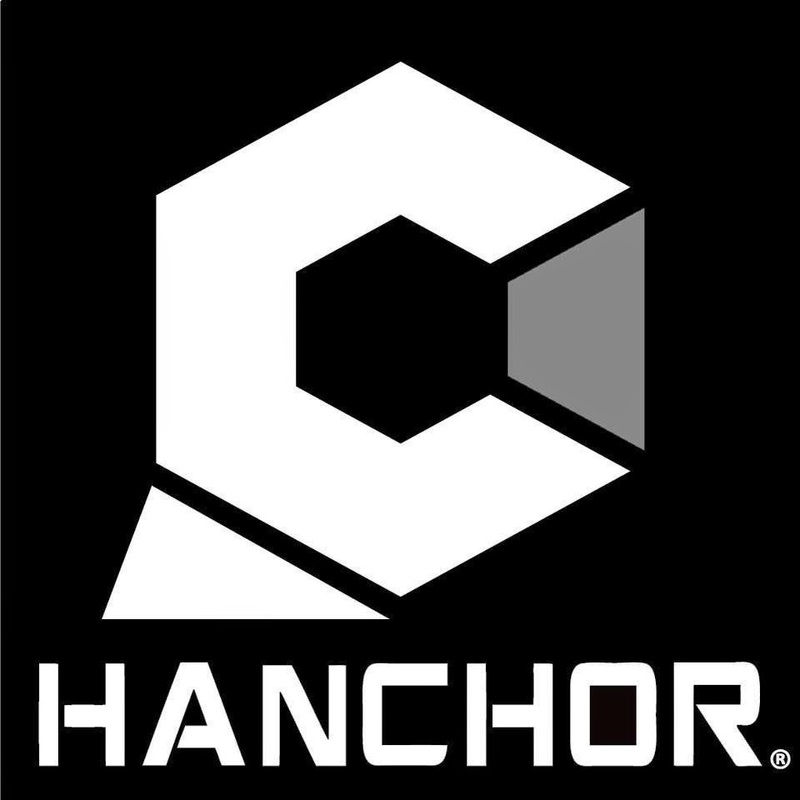 However, a new and innovative bag company called Hanchor has dared to challenge the stereotype! Through their Kickstarter campaign in which they aimed to raise $5000 for there initial product run, they smashed their target raising more than $20,000, allowing them to begin production on there two innovative new chalk bag designs. The Kangaroo and the Hula. 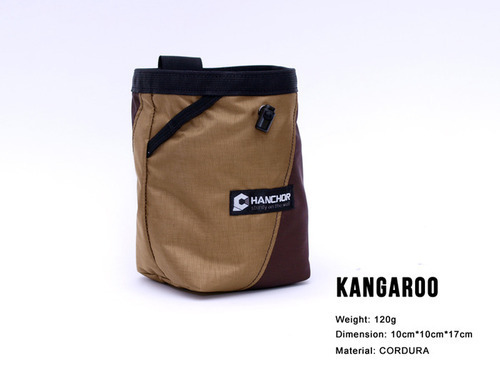 At first glance, the Kangaroo looks like any other chalk bag on the market. It's when you look a little closer you discover there's something special about this bag. Inside, there's an expandable zip pouch that allows the climber a couple of different options. 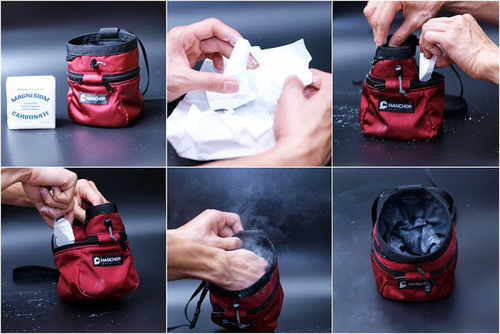 You can either leave the zipper open allowing the bag to be used as a regular chalk bag or alternatively, the zip can be closed forming a built in chalk ball. For me, this is perfect combination as I prefer the thick coverage of loose chalk for bouldering but the thin coating you get with a chalk ball for sport. The aptly named Hula is also innovative in its approach to chalking up. It provides a unique 360° internal chalk ball system that is designed to give the climber full hand coverage with every dip while preventing chalk from spilling. 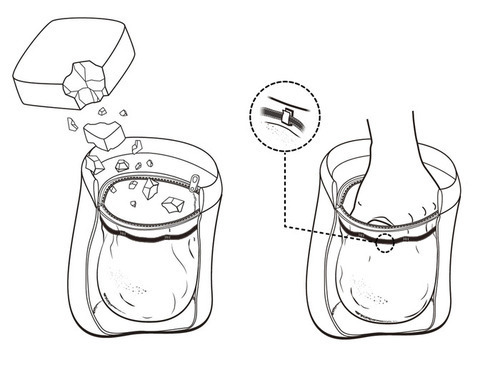 It's two side zips open easily allowing for a quick refill and its ergonomic opening makes dipping for chalk a breeze. When I first came across this new bag concept on kick starter, I was instantly curious and wanted to know whether or not they worked in practice as well as theory. When the bags arrived at my door, I couldn't wait to try them out and immediately hopped on the train to my local NY gym. Arriving there, I opened the bags up and unzipped the pockets inside, filling them with loose chalk. Closing the the zip and giving the socks a couple of squeezes, I quickly discovered that these products are like buying a new mattress, it needs "bedding in". When I first filled the pouches, I found it difficult to get adequate coverage until I'd used them a few times. Once the sock material had softened up, It allowed a much better flow of chalk. Three gym sessions in from when I first filled the bags and they're now performing just how I had envisioned. I personally prefer the Kangaroo over the Hula because I find its functionality better suited to my climbing styles and its slightly narrower opening easier to use. 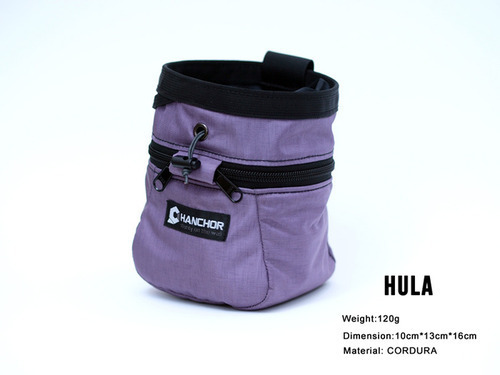 The Hula seems a little large for a sport bag and a bit small for bouldering bucket. I'd like to see how the ring idea evolves over time. In terms of price, they're currently a little on the expensive side compared to other bags out there but I foresee that will change as they gain popularity. They could certainly expand their choice of bag colours too. This bag is a cool new concept and works well but the bedding in part was a annoying. I would recommend this to be on every sport climbers wish list. 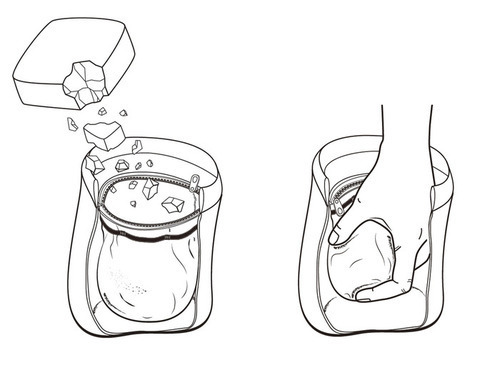 I admire the innovative design of this product and I like the theory behind it. However, I don't think it works as well in practice as I expected. I'm psyched to see where this design trend leads.